Credits for this great easy recipe go to my 12-year-old sister, Katelyn. One night I challenged her to make me a Fuel Pull snack (both low-carb and low-fat) using some of my Light Rye Wasa crackers, and this is what she brought me. I recreated it later with measurements for the blog. Since I like my chicken salad sweet and spicy, my measurements reflect that; but feel free to adjust everything to your own taste and add extra seasonings if you so desire! This chicken salad takes only 5 ingredients! (To see more 5-ingredient wonders, click here.) It’s a great thing to have on hand for a quick snack or lunch. Trim Healthy Mamas (click here to find out more about the plan), this chicken salad is Fuel Pull. 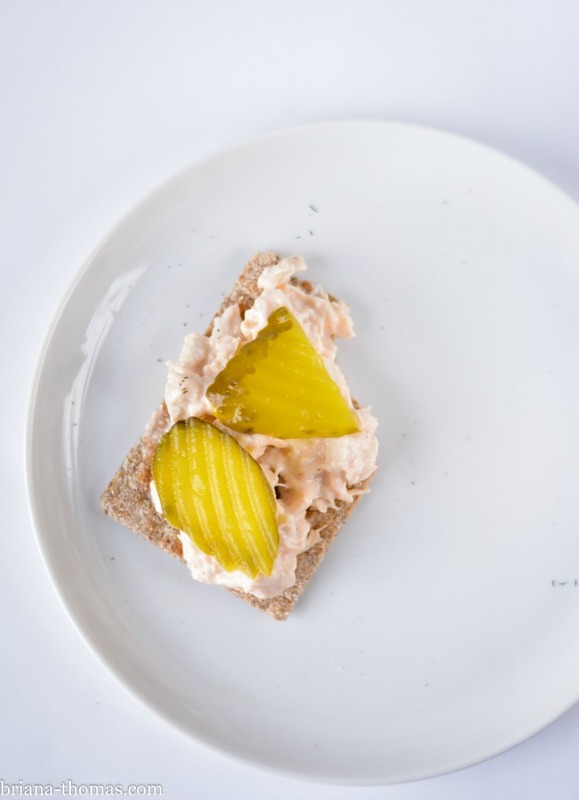 I like to eat it on two Light Rye Wasa crackers (as pictured) with dill pickles for a quick Fuel Pull snack. You could also put it on a Joseph’s pita or half a lavash bread with lettuce, dill pickles, and a Lite Laughing Cow cheese wedge or small amount of lite mozzarella for a Fuel Pull sandwich. I used homemade Greek yogurt in this recipe for a milder flavor. If you’d like to learn how to make your own Greek yogurt, check out this tutorial I made! People with allergies: this buffalo chicken salad is gluten free, egg free, and nut free. However, the Wasa crackers and other serving suggestions may or may not be allergy-friendly. Check your packaging carefully for information. You can grab my “official” pin for this recipe here! Question of the day (comment below): what’s your favorite quick snack? 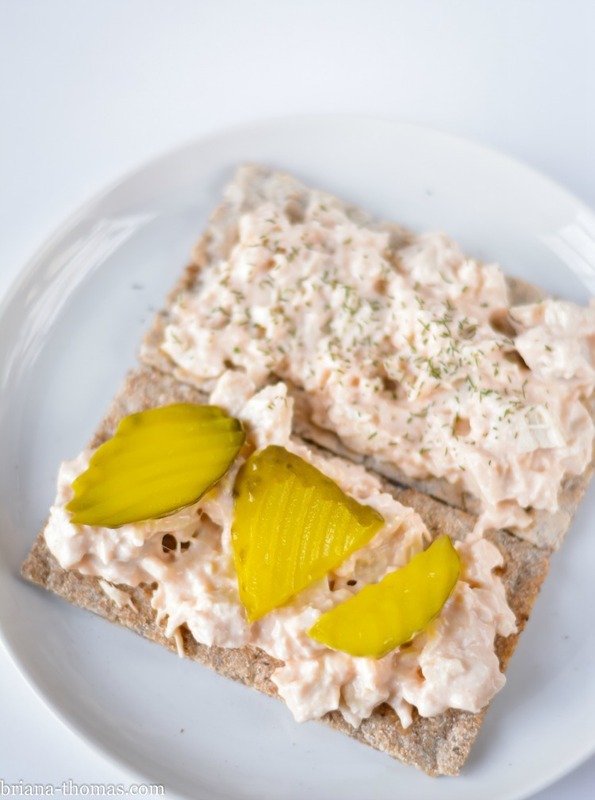 THM:FP, Low-carb, Low-fat, Sugar free, Gluten free, Egg free, Nut free (allergy information for the chicken salad only) - THMs, you can eat this with two Light Rye Wasa crackers and some dill pickles for a quick FP snack, or put it in a Joseph's pita with lettuce, pickles, and Lite Laughing Cow cheese (or a small amount of lite mozzarella) for a FP lunch! Combine all chicken salad ingredients and adjust to taste. I like my chicken salad sweet and spicy, so the ingredient amounts reflect that. 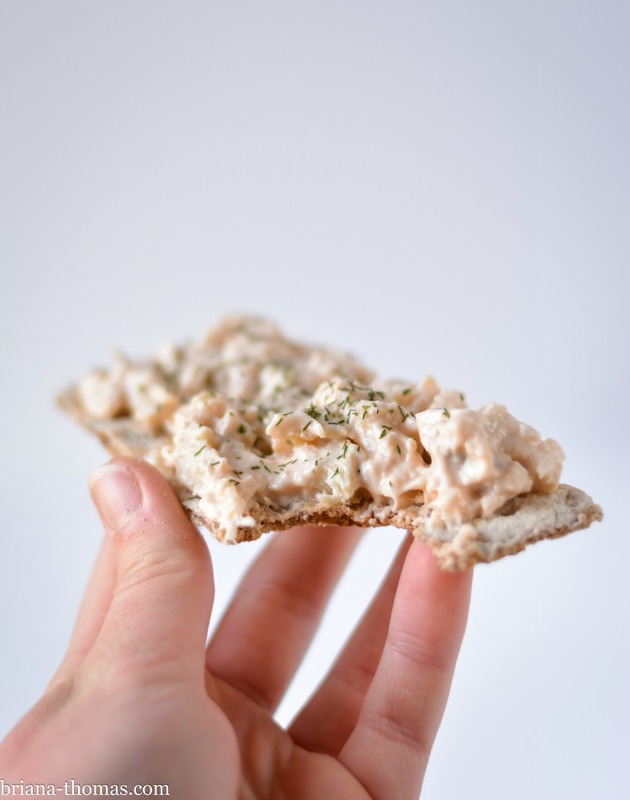 I like to eat this chicken salad with two Light Rye Wasa crackers and dill pickles for a Fuel Pull snack. For lunch you could put it in a Joseph's pita with lettuce, dill pickles, and a Lite Laughing Cow cheese wedge or a small amount of lite mozzarella (also Fuel Pull). THM Pure Stevia Extract Powder can be purchased at the Trim Healthy Mama online store. I made this and loved them!! Such an easy dish to make! This is so awesome! I made this on a whim because I was getting tired of my usual rotation of afternoon snacks. This really hit the spot and I can’t believe it’s an FP!! Thank you for your labor of love and sharing all of your recipes with us. I am also working my way through your cookbook which gets used more than any other in our THM household. Did you use can chicken? If so what brand? This was really good, quick and saved me from making a bad decision. I used canned chicken–the Great Value brand. I doubled this recipe for me, my mom, & my sisters’ lunch today. It was so yummy! 🙂 We put our own take on it. We used 2 (9.75 oz) cans of Swanson Buffalo style chicken, about 1/3 – 1/2 cup non-fat Greek yogurt (the Swanson chicken is already really saucy), 1/2 a raw jalapeno diced fine, handful of chopped spinach, and a stalk of finely diced celery. We only used 1 doonk of stevia & we added onion powder, garlic powder, salt, pepper, dill weed, and chicken seasoning to taste. Served it on 2 wasa crackers (for each person) with 1/2 a laughing cow wedge on each cracker. Thanks for the recipe Briana! Sounds like you made your own recipe – and it sounds great! Awesome! Way to make it your own. Sounds super good–I love buffalo chicken! I had a question though…..my light rye wasa’s have 11 carbs for two crackers, so wouldn’t that push me into an E setting? Or is that one extra little carb obsolete? I’ve wondered this for a while but can’t really find an answer….was hoping maybe you’d know? Oh. My. Word! So yummy and I am an extremely picky eater, mostly for junk food. Your website has been such a blessing for me on this difficult journey of becoming healthy and learning new ways to eat. Thank you for all the time you put into it! Oh my! I just made this with a small can of salmon and it is amazing! I had planned to do deep S for lunch until I remembered seeing this the other day. I like a lot of spice, so I added another tsp of hot sauce and topped it with some banana peppers. Thanks for the recipe! Sounds great! Thanks for the idea! This is SOOOOOO delicious! Just had it for lunch and was amazed at how great it was. And, it was super fun to hold my little boy down after lunch and breath on him with buffalo chicken breath. Bonus! oh this looks yummy – I am loving this quick recipes! thank you for sharing! This was delicious!! We enjoyed it on Ezekiel bread, would that make it an E or did I crossover? My, my that looks tasty. I’d have to make it an S for myself and eat it with a spoon instead of on bread, but it’s mighty tempting! This looks fabulous and easy! I just printed it to try later this week. Thanks.